Parfums M.Micallef Ananda Giveaway – Grab One Of 50 Free Samples! 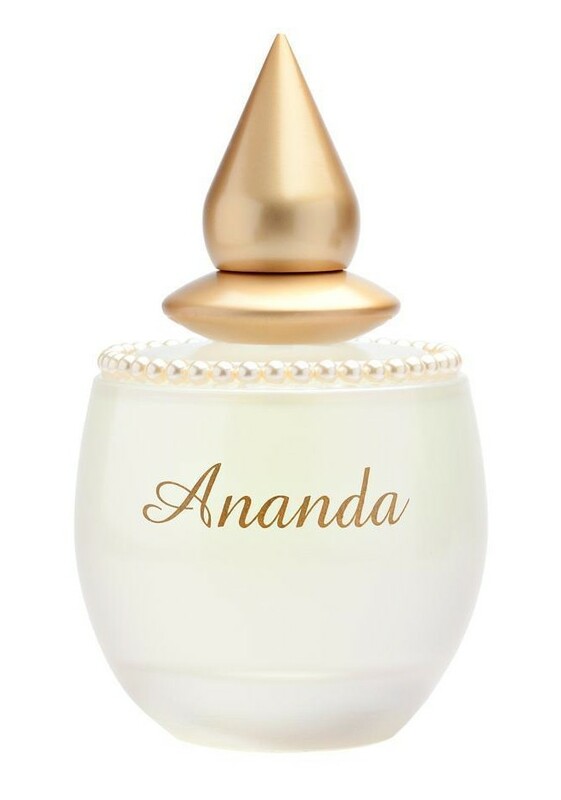 Sandra’s review of Micallef Ananda has gotten the attention of the US distributor for Parfums M. Micallef and they generously offered to give away 50 samples of this fragrance to the first fifty people to email them. M.Micallef is only available at one store in the US (Parfums Nasreen in Seattle, WA) and therefore hard to find. One condition: You must be living in the US to participate. The first 50 people to write an email with the subject line: Olfactoria’s Travels Giveaway, will receive a 1.5ml spray sample of Ananda. Please note that I am just the conduit and can therefore not be responsible for the outcome of this giveaway. Your sample, should you be among the first fifty respondents, will be shipped directly from the US. Many thanks to Sandra for the review and to Jeff for the generous offer! This entry was posted in Giveaway, Parfums M. Micallef and tagged Ananda, Giveaway, Hypoluxe USA, Jeffrey Dame, M. Micallef, Parfums M. Micallef. Bookmark the permalink. 34 Responses to Parfums M.Micallef Ananda Giveaway – Grab One Of 50 Free Samples! I am so happy for the first 50!! Me too! A great opportunity to try this! Have emailed them, and hope I get to try this scent. Thanks so much for hosting this giveaway. ooh! Thanks for hosting. Here’s hoping I’ll make the first 50! Wow. Everyone loves Olfactoria! The email requests for Micallef Ananda came flying in to me this morning and we blew past 50 responses during my first cup of coffee [I’m in Arizona right now, 6:24 am.] Let’s do this, I love perfume, and I love giving away perfume for others to enjoy…I’ll keep the draw open all day today Friday June 21st and anyone who sends in the response today will receive the Micallef Ananda vial. A small caveat though, I can send out several hundred if need be, but not several thousand [you never know with the internet]. Remind me to let Nasreen in Seattle know you will be calling. Thank you all, and thank you Olfactoria…enjoy Micallef Ananda. Thank you very much, Jeff! That is amazing! I’m glad so many will receive a sample. Oh my gosh! That is amazingly generous! Applause, applause, applause! But if not, thank you to Jeffrey all the same! Let me know whether you made it, Daisy! Made it 🙂 Looking forward to sniffing! Thanks again for setting up and announcing the giveaway! Yay! I’m happy for you! I suspect I’m still too late, but thank you all the same! I stumbled upon your site upon random chance last night and was lucky enough to be one of the lucky 50! I I am very excited, and will report back. Thanks so much, for all the lovely articles and news. Oh, how great! I’m happy for you! Thanks for reading and enjoy your sample of Ananda, JillM! My sample arrived today, thanks to Jeffry and Olfactoria for offering this unique opportunity. Ananda is a wonderful fresh, floral, with a rich vanilla undercurrent. The mimosa and violet are lovely. Thanks again, I will be sure to share this sweet scent! I’m so happy you enjoy it, Jill! Thank you for the feedback! Thanks so much for hosting this giveaway. Jeffrey let me know that I sent my email in time, and I am super-excited to try Ananda. Thank you again. The sample arrived today, and I would like to thank you again. So far it’s warm and fruity. Actually that’s interesting to me because I think of fruits as being sweet-and-sour, and that connotes coolness to me. But this is definitely warm and sweet. It’s also full-bodied. I thought I had read somewhere that it is “light,” but I don’t think I would describe it that way. I detect the slightest hint of powder amidst the fruits — more like a molecular-gastronomic style, seemingly impossible, warm powdered fruit than a dripping juicy one. It is worth bearing in mind that I seem to smell powder everywhere. Also, I don’t love dripping juicy fruit except in real life so for me, this is a plus. I’ll be interested to smell the full drydown and see what happens to these fascinating fruits. Thank you again. Thank yo for the feedback! I’m glad you like what you are smelling for now! I recieved mine as well, i stopped everything i was doing. Yes fruit is predominant but really well done, refined i’d say. I haven’t ever prefered fruit fragrances before but i’d say i like this one a lot. I detected a slight water or marine behind the fruit, gave it a clean freshness, perfect for summer to me. The dry down is very beautiful but hard to detect on my skin, slightly powdery but fresh- If i could afford it i would buy it for sure. I did share with my mom who really liked it alot. I am very thankful for my sample, it is a special treat for me thanks so much! That’s so lovely to hear, Patricia! I’m very happy you enjoy it! My Ananda sample arrived yesterday and I’m enjoying it today! It’s not like anything I have in my collection, I’m smitten with how soft yet bright it is. Definitely a good warm weather scent, which is 9 months out of the year where I live. I’m glad you received it alright and enjoy it too, Lulubelle!